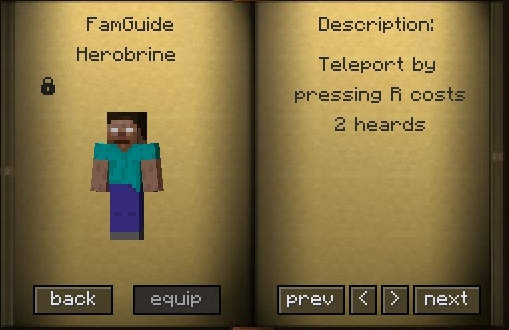 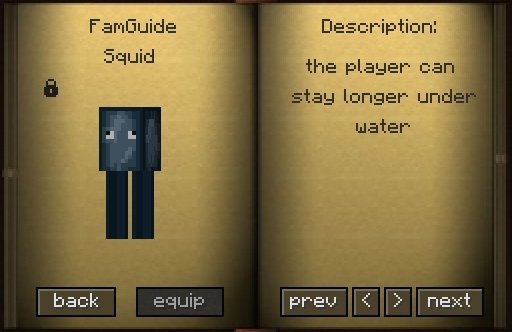 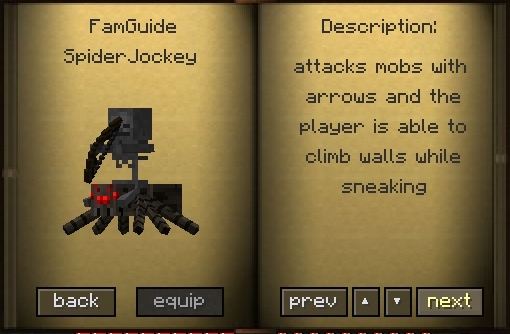 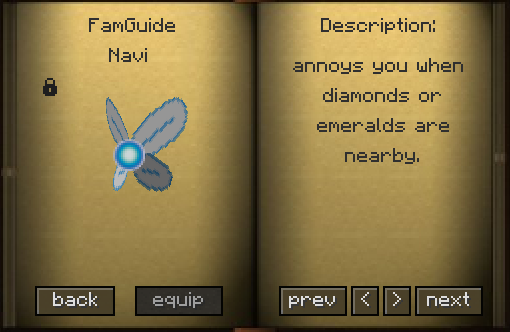 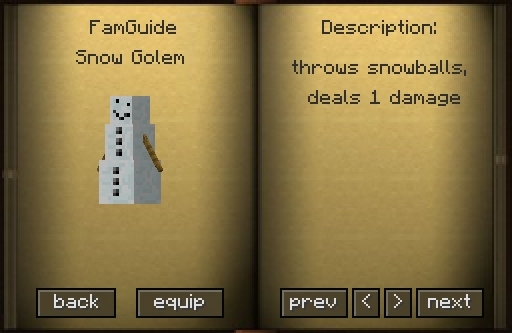 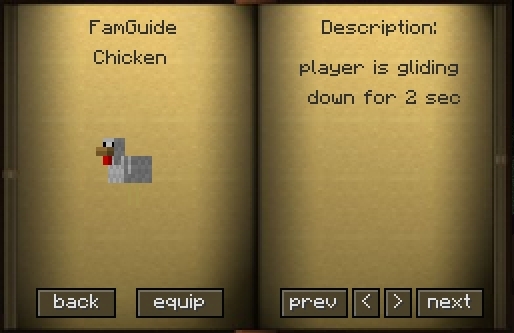 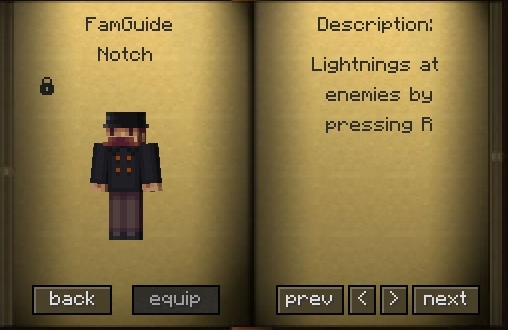 Familiars Mod 1.7.10 includes a little familiar for the player, so it’s not always so lonely in SSP. 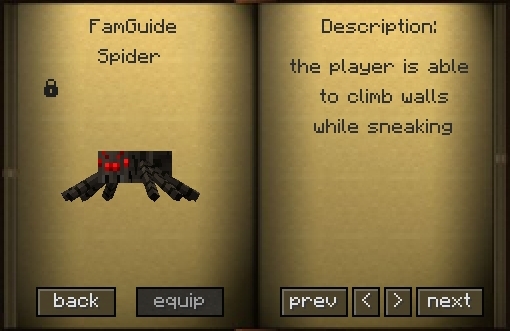 A Familiar is a kind of protector / companion that always follows the player. 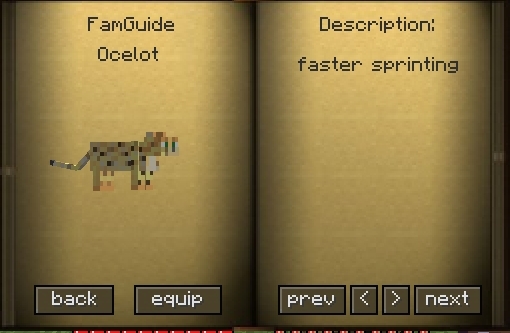 They are not tameable like dogs and do not occur in the wild. 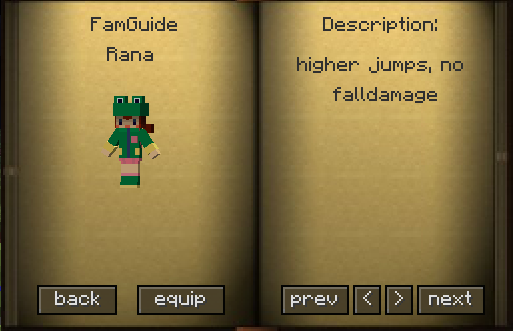 These can be equipped like items / armor, Dungeon Defenders has inspired me. 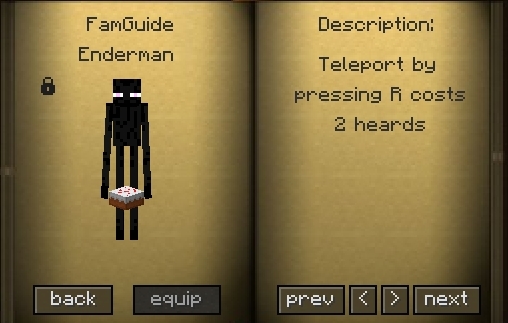 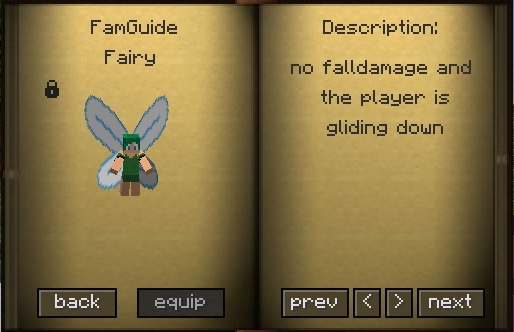 The creatures do not only fly someone behind they also have a passive/active skill (attack by mobs, heal the player etc). 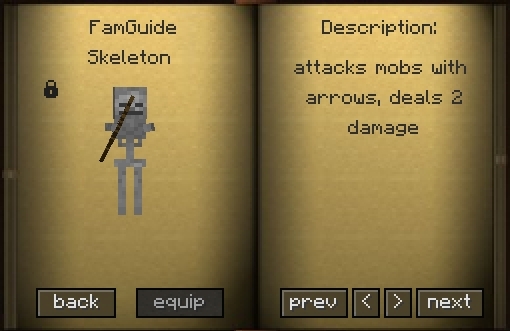 To craft it, you’ll need a book, gunpowder, spidereye, bones and rotten flesh. 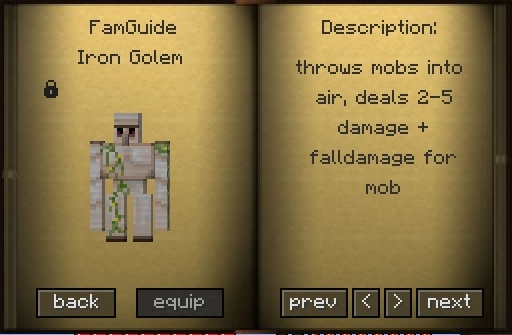 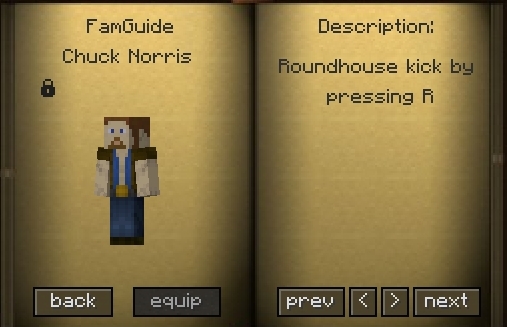 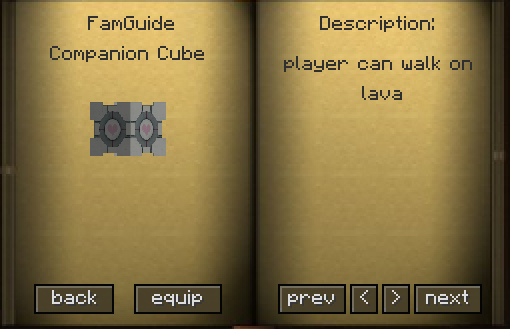 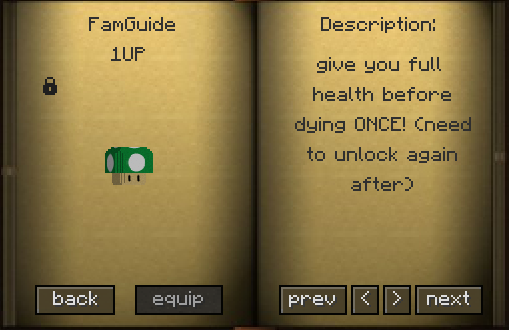 The API alone has no content, you need at least one FamPack!